With summer just around the corner, holidays are on the mind. Summer clothes and sandals will be coming out from the depths of closets and now is the time to prep your feet to look their best in those summer shoes. Our feet work hard for us throughout the day. From walking, running, exercising, temperature changes, squeezing into uncomfortable shoes and heels – it’s important to care for our feet. Soak your feet in warm water with Epsom salts to soften and refresh your feet. 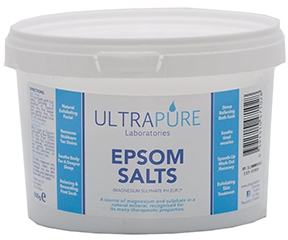 We recommend Ultrapure Epsom Salts. For best results, fill your bathtub or a basin with warm water until it’s deep enough to cover your feet and sprinkle 1-2 handfuls of Epsom Salts into the water and gently mix. Soak for 15 -20 minutes. Gently smooth away dead skin cells and calluses with a pumice stone, foot scrub or foot file after a soak. 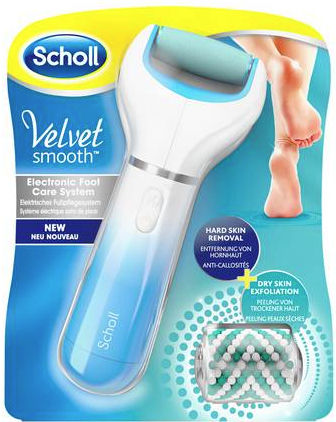 We recommend using Scholl’s Velvet Smooth Pedi. It’s an easy to use roller that gradually removes dry skin. 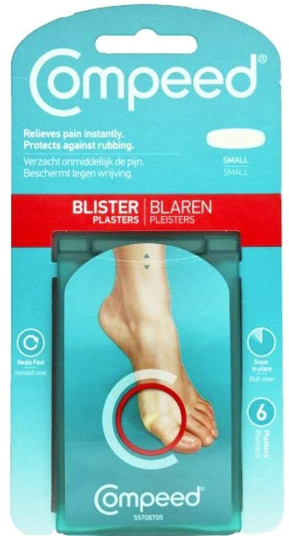 Moisturise all over your feet, heels and toes. Avoid going in between the toes after washing or soaking (as this can lead to Athlete’s Foot). If you have weak or brittle nails, don’t forget to moisturise them as well. If you suffer from dry or cracked heels, it’s recommended you use a moisturiser cream daily. 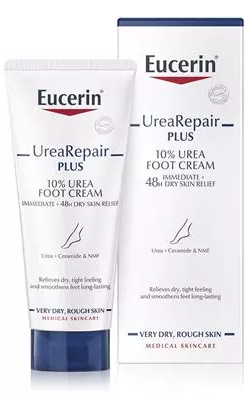 Eucerin UreaRepair PLUS 10% Urea Foot Cream gives very dry, rough feet the intense moisturisation they need. Cut your toenails regularly using nail scissors. Trim straight across and avoid cutting at an angle (as this can cause ingrown nails). A corn is a small circle of thick skin on the foot, generally caused by friction. We recommend Scholl 2 in 1 Corn Express Pen which can provide improvement in 5 days. It may be also advisable to wear different shoes and avoid tight-fitting or narrow-toed shoes, including heels. Give your nails a pop of colour. Nothing says summer more than colourful pinks and reds. Our wide variety of Sally Hansen nail polishes will give you a range of options to polish off your summer-ready feet. For footcare advice or if you need to treat a foot condition such as Athlete’s Foot, a fungal nail infection or a Verruca, don’t hesitate to speak to one of our Pharmacists. For more information about footcare conditions see here.